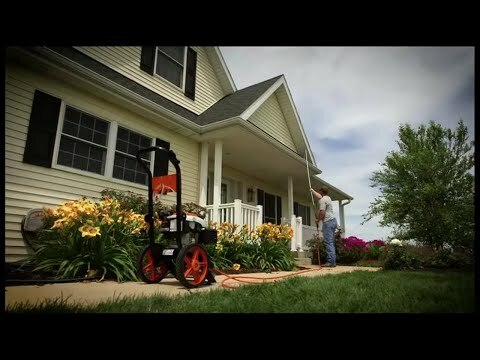 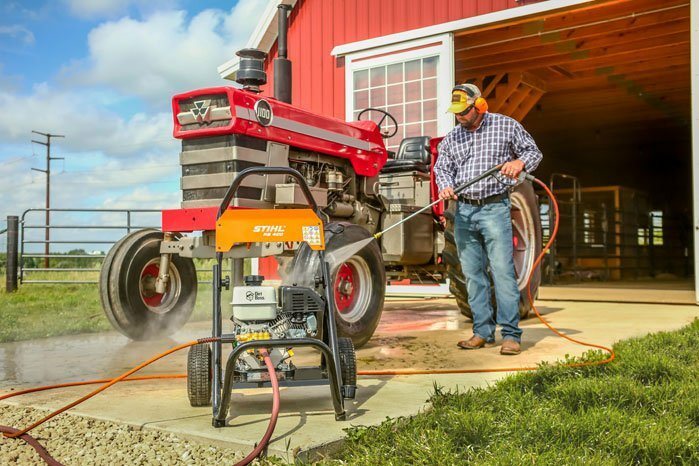 When you need a power washer that delivers top performance and can stand up to daily use, choose the STIHL RB 400 Dirt Boss® pressure washer. 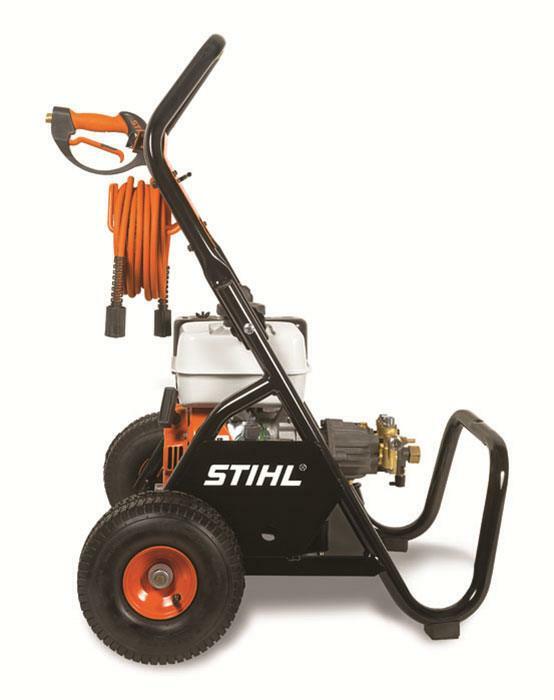 It features a powerful 196 cc (6.5 hp) engine that can output 2,700 psi of water pressure at 2.7 gallons per minute. 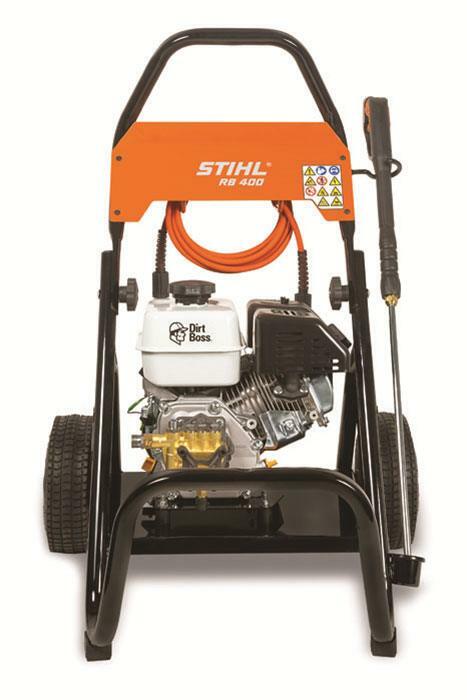 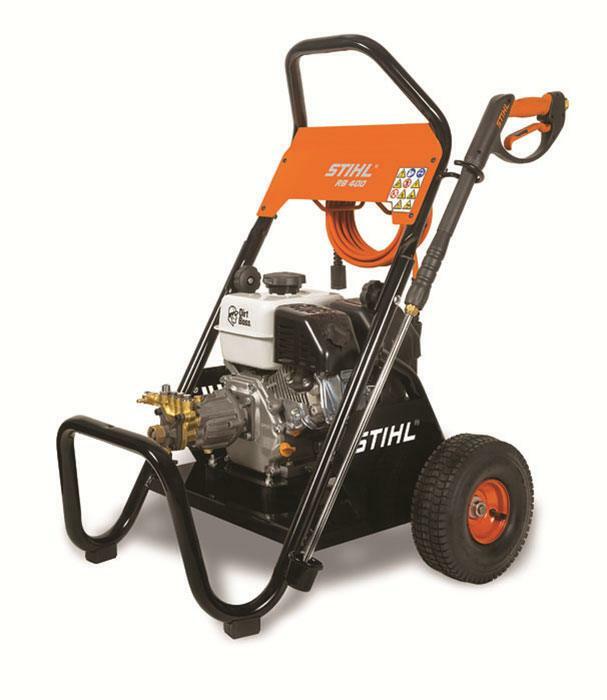 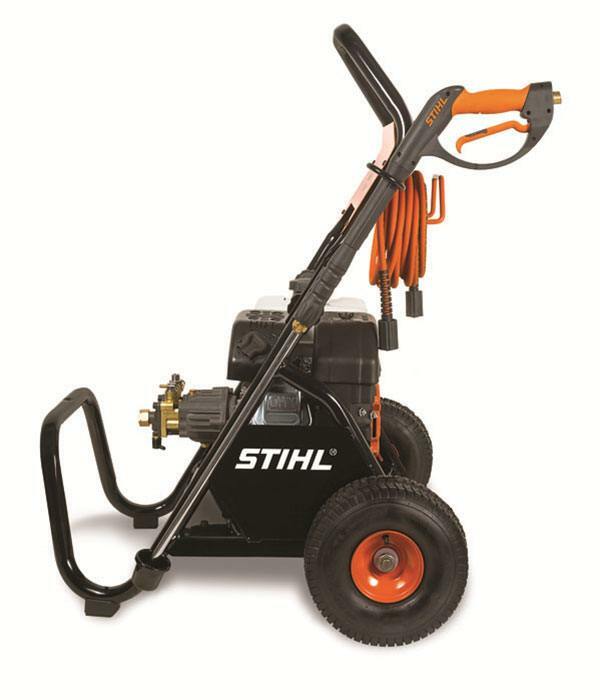 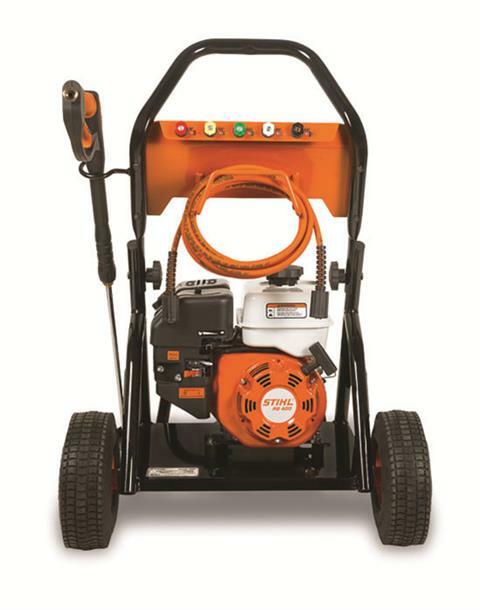 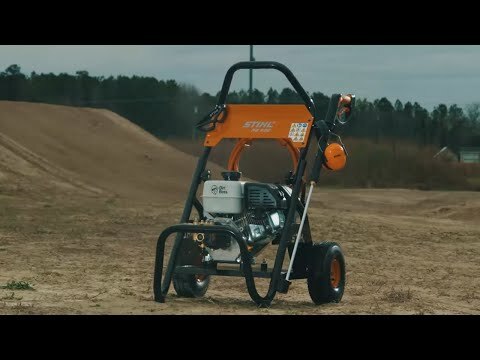 It also features the durability STIHL products are known for, with a brass manifold pump design, stainless steel valves and ceramic-coated pistons. There is also a cast-iron engine liner and a built-in shutdown feature when the oil level is low. 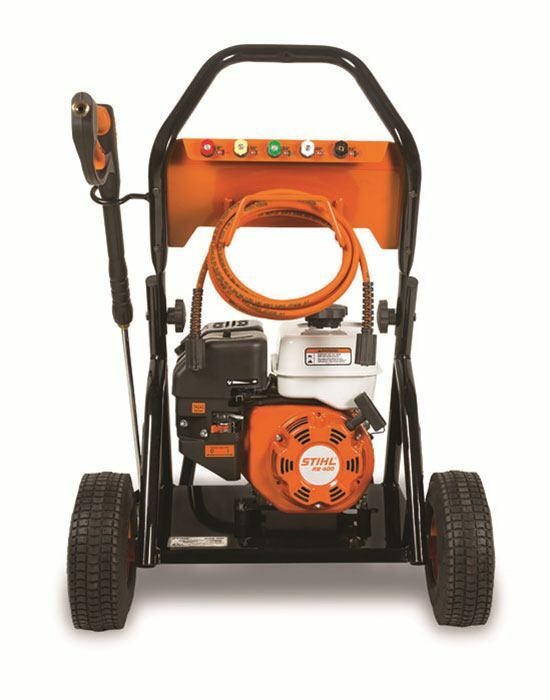 The RB 400 Dirt Boss® also features an easy start pump system and convenient detergent injector system. 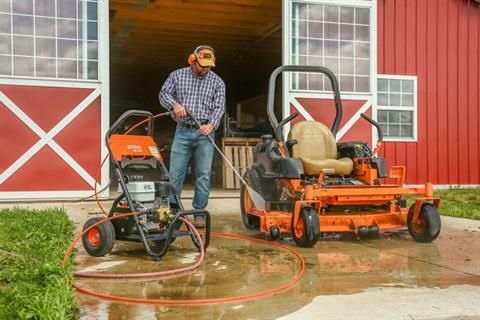 And with its 25' no-kink flex hose, you can clean more area without having to move the machine. Finally, the pressure washer uses a wide range of optional cleaning accessories, including rotary surface cleaner, water broom, nozzle options, hose extensions, a gutter cleaner, aluminum wand extension, pivot coupler and official STIHL cleaning agents. When you need to demolish dirt on a daily basis, the Dirt Boss™ handles the pressure with ease.